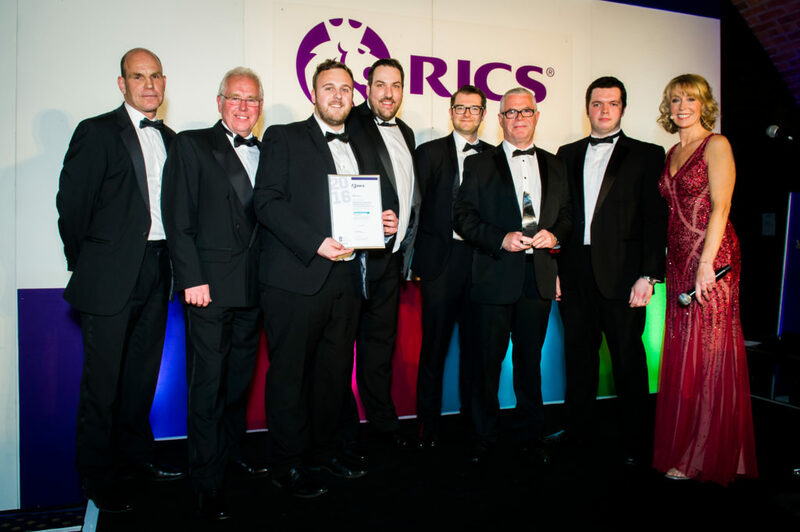 Woodhead Construction is delighted to have secured the Residential Award at this year’s RICS Awards, East Midlands. The project, delivered by Woodhead Living which manages residential new build programmes, took home the award for it’s ‘Rethinking Housing Delivery’ project in partnership with Bassetlaw District Council and A1 Housing. Over 350 delegates attended this year’s RICS Awards, East Midlands, held at Kelham Hall in Newark on Thursday 21 April. The awards, established to celebrate the inspirational initiatives across the built environment, bring people together across all sectors to celebrate the region’s most innovative projects. The award winning project will see Woodhead Living deliver 71 new homes to Bassetlaw over a three year programme, in the first major social housing project in the district for 35 years. New homes will replace the non-traditional airey houses — a pre-fabricated house built in the 1950/60s. The awards was given to Woodhead for phase one of the project, which comprised demolition to allow access to the former playing field and the construction of initially 19, rising to 25, new homes. Don Spittlehouse, Managing Director at A1 Housing, said: “From the start of this project, A1 Housing and Woodhead have worked hard to design and build modern, energy-efficient and sustainable homes for life. We wanted to provide tenants with homes that exceed basic standards and that would look like a modern housing development, rather than mimic the old council estates of the past. Cllr Steve Scotthorne, Cabinet Member for Housing at Bassetlaw District Council, said: “Congratulations to A1 Housing and Woodhead on this latest award. Having seen this project first hand I was extremely impressed not only by the build quality, but the design and preparation that has gone into ensuring that A1 Housing tenants have energy-efficient homes that are adaptable to individual needs.